Now that Summer has pretty much wrapped up I thought it was time to switch my most reached for daily scent from a summery spray to a sultry autumn one. 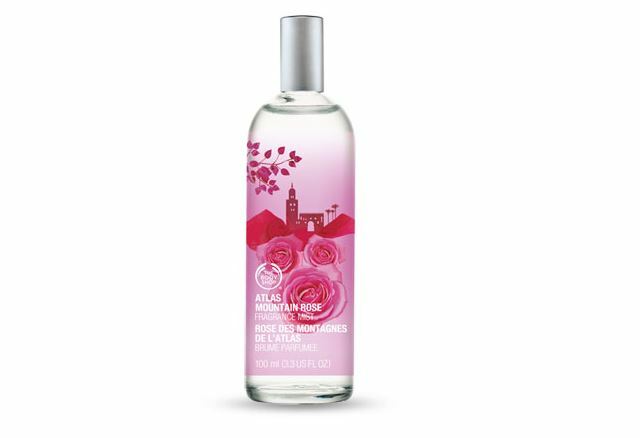 Stay tuned for more info and reviews of my upcoming autumn scents, but for today let’s take a look at my summer fav: The Body Shop’s Atlas Mountain Rose Fragrance Mist. If you’ve followed my musings and writings for quite some time now you may remember my first encounter of this fragrance when I smashed a bottle in the shop. Even though I wanted to duck and run, I thought it was only right to purchase it even when they graciously told me I didn’t have to pay for the damaged one. Not convinced it was my type of scent, I brought it home and it remained on one of my shelves for quite some time, maybe giving it a spritz or two once in a blue moon. But at the beginning of this Summer I decided it was time for a light, fresh, feminine scent and this bottle delivered. Maybe my senses have changed over the last year and a half, but in any case I had decided that this was the Summer scent for me. Maybe I was worried that with a name like “mountain rose” it would be too floral, but this is such a subtle and smooth scent that is sweet and feminine; perfect for those sunny Summer days and what I’ve been using every day this Summer. Now to bring on the more musky, sultry scents!! Hoping to add to my collection with a few new choices this Autumn, but I’m looking for some suggestions. What are your favourite fall scents and which do you think are going to be popular this year?